It may look simple, but this leash offers more surprises than a puppy left alone for five minutes. Don't be fooled by basic appearances: This leash completes more tasks than just walking the dog. This leash also identifies for all other bystanders and public entities from 20 plus feet away, that this is NOT any ordinary animal, it is a legitimate service dog. 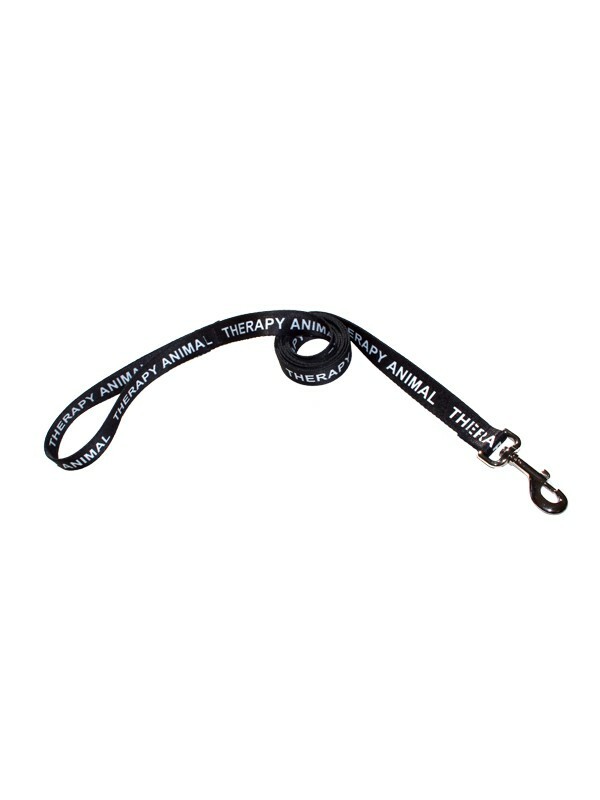 This leash can also be used for training as it is a good 4' or 6' lead leash. Wherever a strong service dog leash is needed, on the trail or around town. Loop around handle for easy comfort and recognition of service dog. Option: Two (2) sizes of service dog leash attachment makes clipping to collars a breeze for either a large or small dog. (Large EZ clip: 3-1/4" lenth, Small EZ clip: 2" lenth).